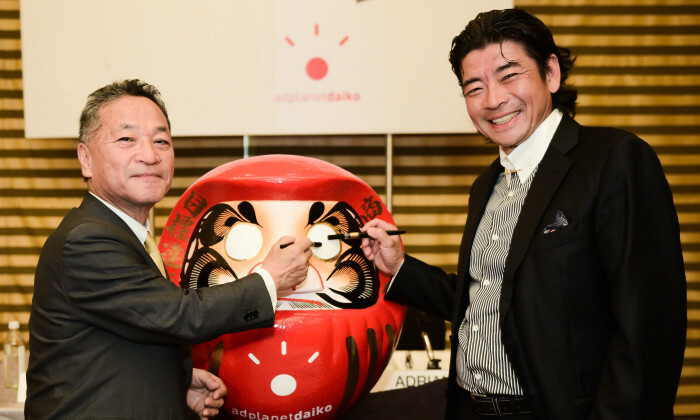 Japanese advertising agency Daiko Advertising has partnered up with local independent agency The Adplanet Group for a joint venture named Adplanet Daiko. The joint venture was launched on 20 April 2015. The joint venture between the two agencies is aimed at incorporating a regional agency network in the ASEAN market. The JV has had a logo created for the tie up, inspired by the symbol of the rising run in the national flag of Japan and Singapore’s “little red dot”. The logo is a merging of the two symbols, representing the union of Daiko Advertising and Adplanet Group. The image of a lit-up bulb is a nod to Daiko Advertising’s tagline: “Ideas Win”. Adplanet Daiko will be based in Singapore as its headquarters for the ASEAN region. The agency sees Singapore as an important gateway to the ASEAN market. This joint venture supports Daiko’s aim of establishing its presence in the ASEAN region. The initiative was partly driven to cater to its clients in Japan who needed representation in the ASEAN market. The joint venture also aligns with the agency’s globalization plan. Similarly, Adplanet group sees the partnership as an opportunity to establish a regional footprint. The three pillars set up for Adplanet Daiko are: traditional and brand communications, digital and social media solutions, and activation. In collaboration with world-renowned Australian artist Amanda Parer, Lee Tung Avenue and China Hong Kong City will present a new e..